Why not hike the Streif? Up to 600 ski & hiking fans visit the „Start-Haus“ daily and discover interesting information about the starting area of the Hahnenkamm Races. The views will take your breath away and you can experience an authentic race feeling and the challenge of the „Streif“. Tip: The starting area is open daily from 09:00 to 16:00 hrs. You can then explore the Streif from top to bottom. Four state of the art “infotainment” LCD portals display incredible film clips (historical, informative and exciting) with flash animation – at the “Starthaus”, “Mausefalle”, beginning of the “Steilhang” and the Hausbergkante sections of the race course. Breathtaking insights into the race’s history on the Streif keep ski fans entertained from the Starthaus right down to the finishing line. Hikers will need around 2.5 hours to cover the 3.8 kilometre long walk with around 900 metres in altitude differences (medium to challenging level of difficulty). After passing the start area, the route leads on to the world famous “Mausefalle”(mousetrap) section. With an incline gradient of 85%, this is the steepest part of the downhill run! 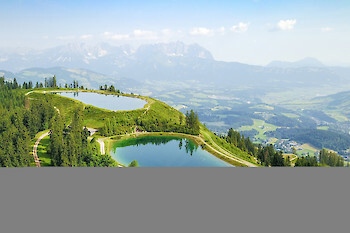 Those who have still not had enough of the dizzying heights can walk down to the next section at the “Steilhang” (steep slope). This is where the flattest point and longest gliding section - the “Gschöss” - begins. Racers often hit this spot at speeds of around 90 km/h. You can’t miss the next section, the “ Alte Schneise”. It is the bumpiest part of the course and challenges racers with its rapidly changing terrain and light. It is only another 526 metres from here until the finishing line and not far at all from the Seidlalm, where refreshments are available. After completing the Streif hike, walkers need now only to contend with the Lärchenschuss and Hausberg. The Hausberg is described by many experts as the most breathtaking part of the race, which places enormous demands on man and material alike. 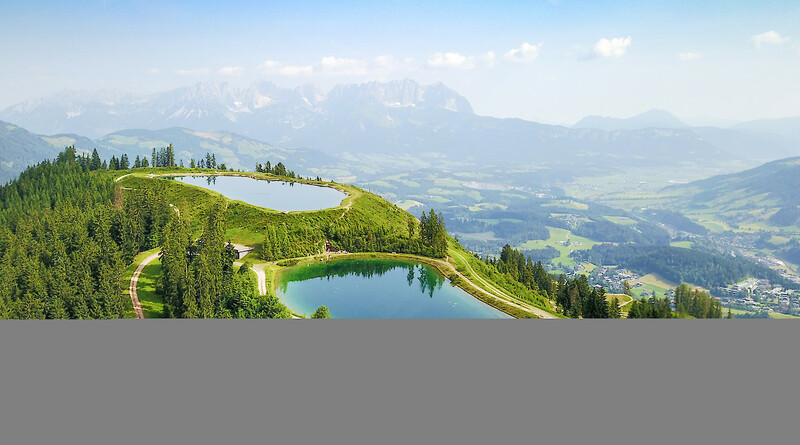 In summer it offers the most beautiful views of Kitzbühel, the Südberge Mountains, Kitzbüheler Horn and the Wilden Kaiser.